Over the last few weeks I received a couple of emails asking for web games to help kids learn touch typing. I went through my archive and did some extra researching and came up with the list below. Touch typing is typing without using the sense of sight to find the keys. A person possessing touch typing skills will know their location on the keyboard through muscle memory. It can improve any individual's typing speed and accuracy dramatically. This game provides several exercises designed to improve kids touch-typing skills. These exercises start with using a few keys and gradually increases the level of difficulty till the learner reaches the total keyboard mastery. This game teaches learners to use the correct fingers for the different keys and improves their finger movements over the keyboard. 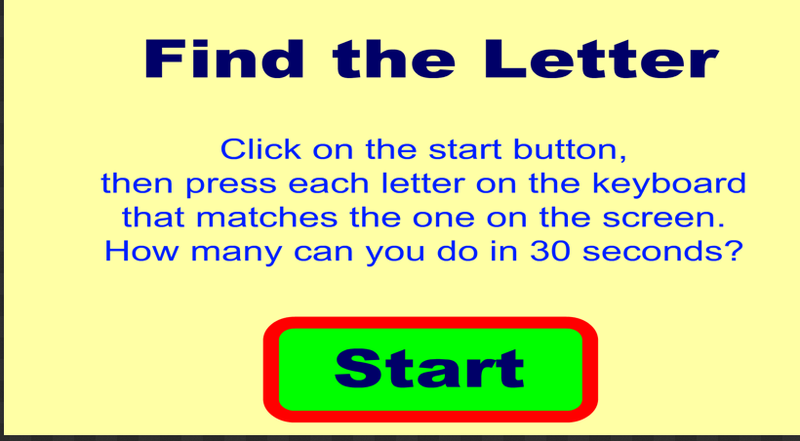 Find The Letter is a game that helps learners type fast. Players are asked to press each letter on the keyboard that matches the one they see on the screen. They only have 30 seconds to play and they need to type in the maximum number of letters possible in this time frame. When the time is over, players are provided with their final score showing how many letters they have achieved in 30 seconds and the number of mistakes they've done. This is a great tool that helps young learners recognize the letters on a keyboard and use the correct hand to stoke the key. 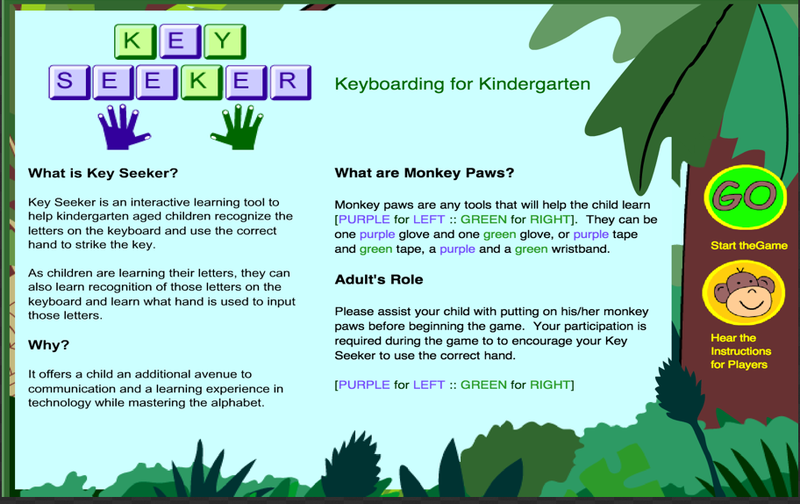 This is a must have tool for kindergarten aged kids to help them learn two skills all in one game: letter recognition and keyboarding. This web tool helps kids learn to type fast using prompts from the screen. Kids are required to type the letters displayed in the screen as fast as possible so that they can achieve more letters at the end of the go. This tool also allows players to customize how they want to play this game. They can choose whether to type capital or lower case letter, select the font they like, determine the length of go and colour of the letter. 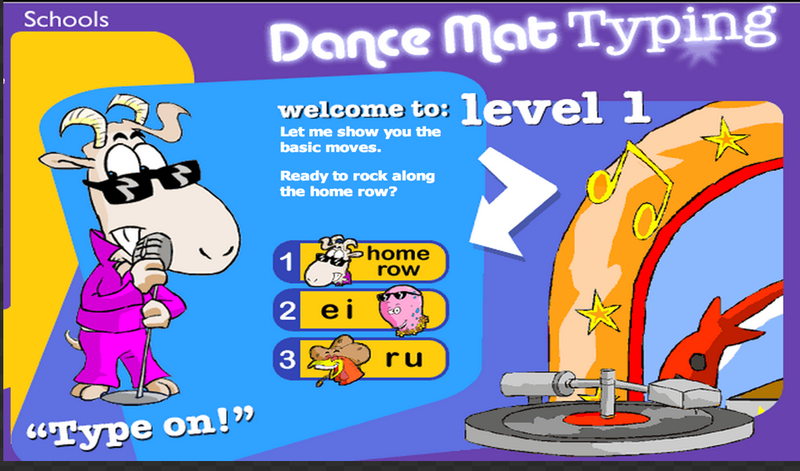 Dance Mat Typing is a wonderful typing game from BBC. The game has 4 levels and each of these levels is divided into 3 stages. Learners will start with easiest and simple level and build up their skills to level 4. 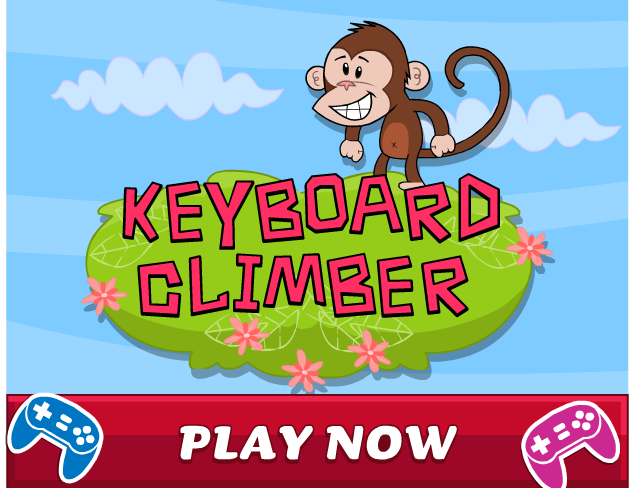 Keyboard Climber is a typing game in which kids help the monkey gets to the top fast by typing the letters that appear on the screen. Any wrong letter will result in the monkey falling down to the bottom. This is a game that provides good typing practice to learners. 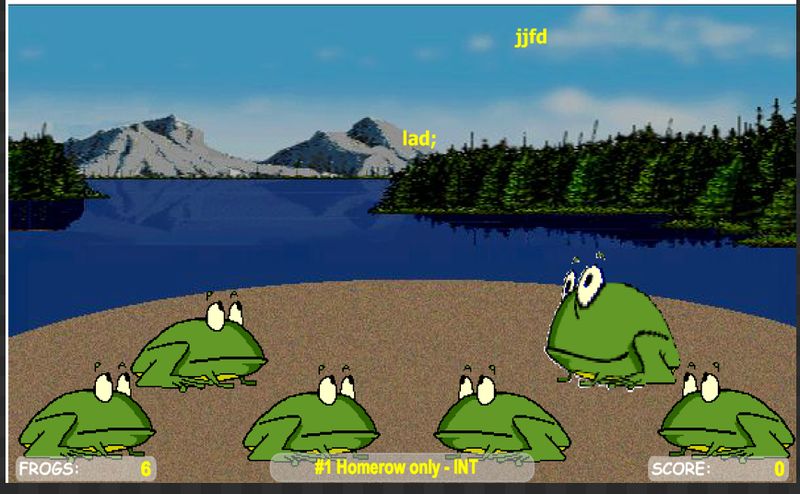 Players have to save letters from being eaten by frogs. To do this, they need to type letters fast before the frogs swallow them. Cup Stacking is a game that allows learners to stack or remove the cups by typing the letters on them. They can only type the letters highlighted in black. 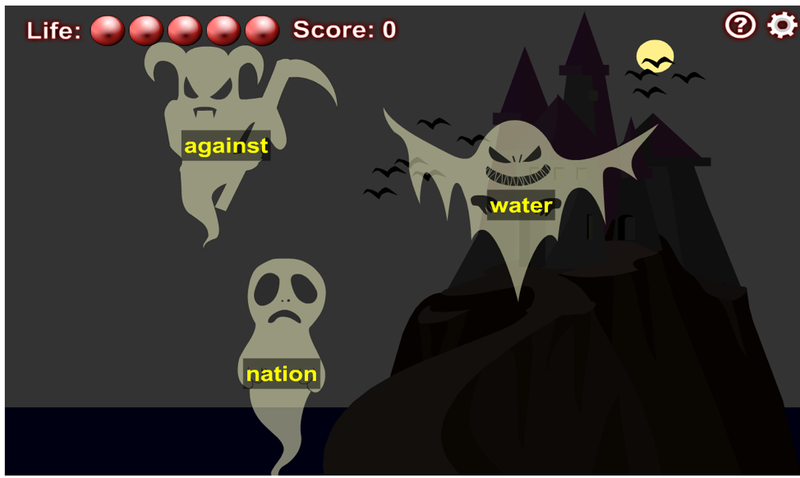 In Typing Ghost, players are required to destroy the ghots by typing the words on them. To cancel the typing, players need to use the " backspace" key. 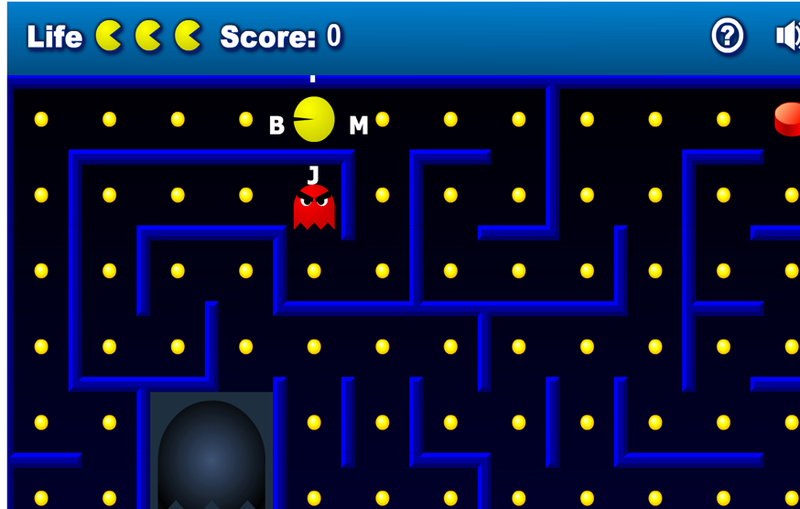 Through typing letters on keyboard, players control the key man to eat all the food in the maze. When the food is over, players can eat the ghosts. 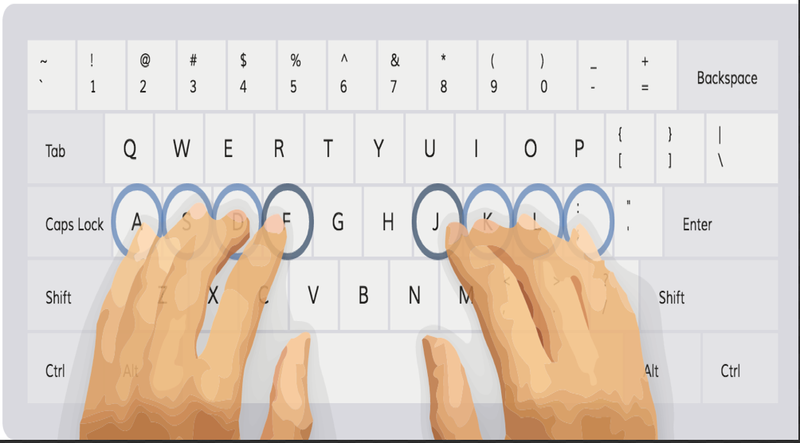 Keybr is an excellent web tool that teaches you the art of touch typing. You are required to type in the letters shown on the screen without having to look on your keyboard. You have been selected to retrieve fresh eggs from the chicken coop. The goal of this game is to catch eggs in your wooden box, that are falling from the chicken sitting on a plank high in the coop. 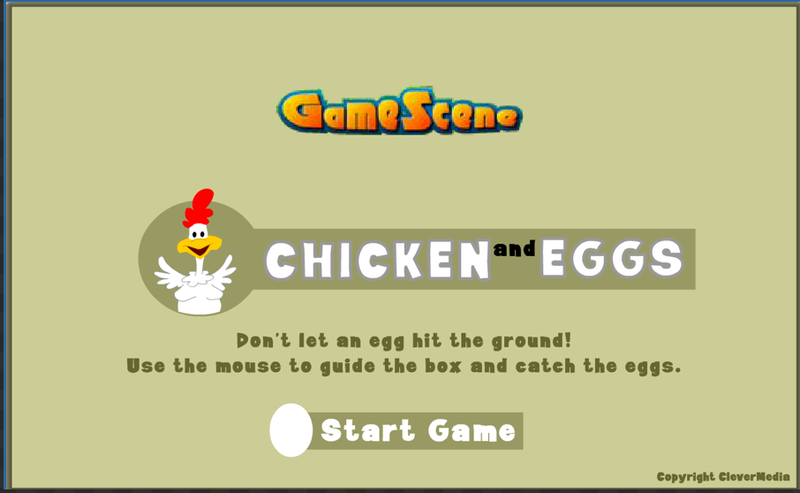 Use the mouse to move the box across the screen to catch the eggs. If you miss an egg, it will hit the ground and crack and you will lose a box for that level. If you catch all of the eggs for that level, you will move on to the next level and the eggs will fall at increasing speeds as you progress.